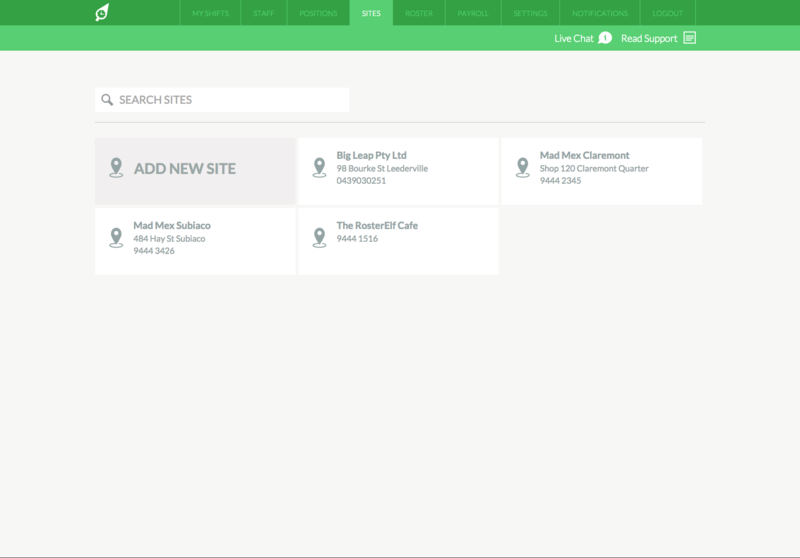 Next, click on the "Add New Site" button which will appear on the top left of your list of current sites. Simply enter a Site name. Eg. Steve's Cafe Bondi or Front of House or Department A. At this stage, you can also add a phone and address details but this information isn't mandatory. A popup window will appear similar to example below for you to select sites the new employee can work at and positions in your business they can perform. 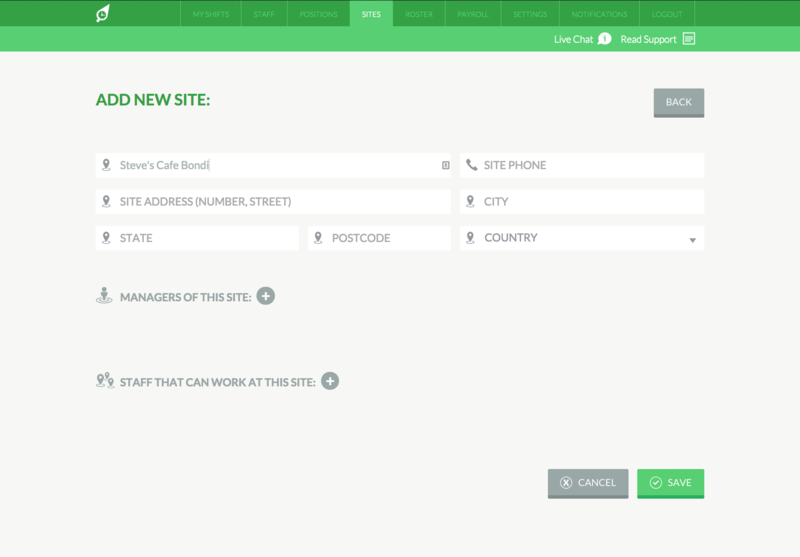 If you don't have all the sites and positions you require already on your account at this stage, you can quickly add new ones by clicking the"Add New Site" or "Add New Position" button on the bottom right of the popup window. 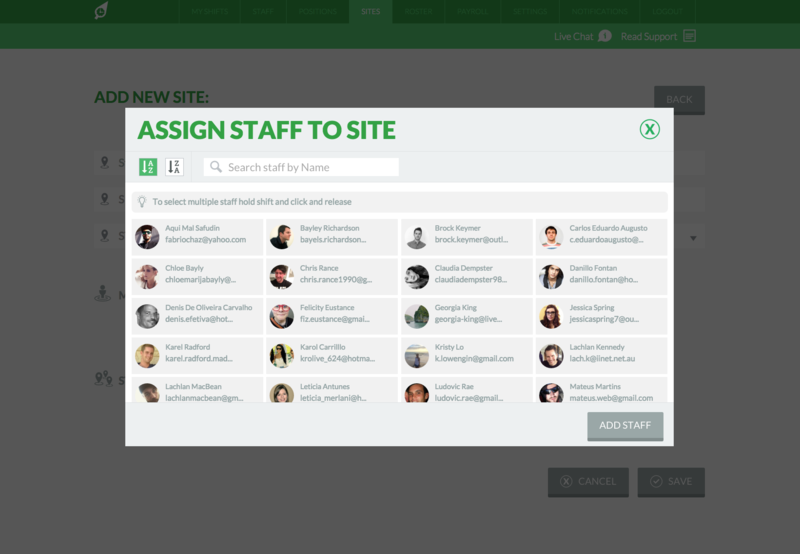 You can also assign staff who can work at this site by clicking the the + icon next to "Staff That Can Work At This Site". A pop-up window will appear as per example below. 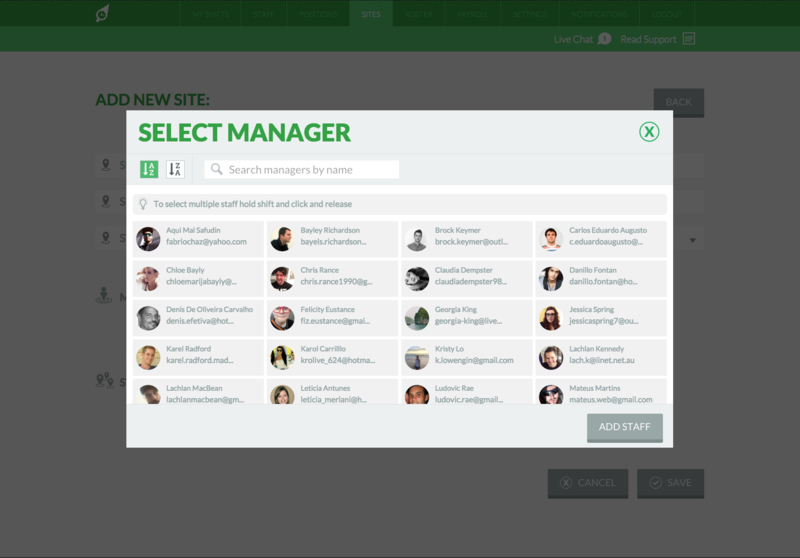 Simply select staff by clicking on them. TIP: To multi-select staff, hold down the shift key whilst selecting. When done, simply click the save button. This new site will be saved to your account and you will now be able to publish rosters for it.